CHINA. 2013. Altai Mountains, Xinjiang. 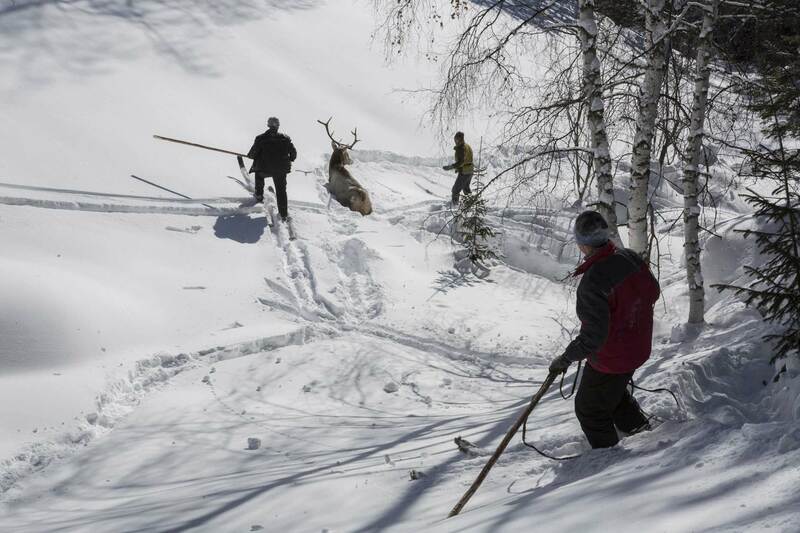 Tursin and his friends chasing down an elk, using only their traditional skis and leather hide ropes. This is the traditional way of hunting in the Altai, practiced for thousands of years. The skiers run the animal into deep snow, where it gets paralyzed.